After the euphoria of saying 'Yes', there may well be some pre-wedding difficulties to overcome before you finally say 'I do'. This is a time of time of understanding each other's needs more fully, dealing with each other's expectations and appreciating what each person can bring to the relationship. For some, this will be a smooth process but for others it can cause stress and anxiety. Panicky feelings can arise and you may ask yourself what it is that you are getting into? You may even start to get 'cold feet' and wonder if you are really doing the right thing. 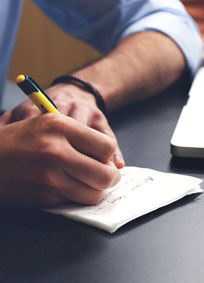 You may have sleepless nights worrying about all sorts of things ranging from your wedding plans to delivering a wedding speech. If this is the case, then it is not unusual but you may just need someone with whom to talk through some of your concerns. Getting married can be one of the most exciting moments of your life but it can also be a very stressful time. Not only are there all the wedding arrangements to deal with but it can also be a testing time for the actual relationship and it is no surprise if relationship problems occur in the run up to your big day! You will not only be entering into a new partnership but also into a new family. No longer will there be just your own relations but also a whole new family that you have to get to know. There may possibly be cultural differences that need to be overcome and all of this may need someone can who provide you with understanding, empathy and who will listen to you in confidence and without being judgemental. Your family may dismiss your concerns as just 'wedding nerves' but these are very real issues for you and they may actually increase especially as the wedding date gets closer. However, you do not need struggle alone as pre marriage counselling is a safe and secure way to confirm your feelings for each other by removing any barriers that might get in the way. I usually see individuals (or couples) for between 1-4 sessions but whatever you feel you need, is fine with me. I will be in the background to smooth out any problems while you can confidentially go full-steam ahead with the wedding arrangements. Just give me a call for a preliminary, confidential chat so that we can see how I can help you have a successful wedding and live happily ever after! 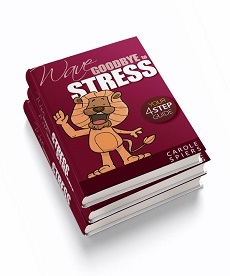 Buy New eBook "Wave Goodbye to Stress"
Let me help you achieve a happy and fulfilling relationship. I am committed to providing counselling and coaching in a safe, confidential and non-judgemental environment. My fiancé and I live in Dubai and know about Carole from her weekly her weekly newspaper column in Gulf News. I called her because Debbie and I were having problems managing our parents on both sides of the family. We both needed guidance and in two Skype calls with her, she managed to help us see a new perspective from both sides of the family and now we are ready to get married.